[By Liz Ackerley] Continuing with the countdown to the USk International Symposium here in Manchester, this is week 2 of my City Centre Manchester sketches, of the places and streets that all of us will get closely associated with during the symposium! 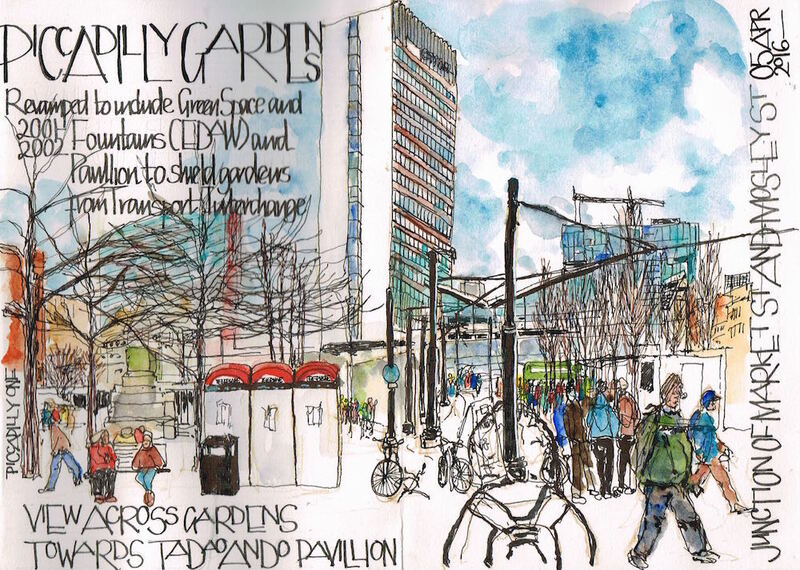 Without further ado, here is the second of my sketches: ‪#‎PiccadillyGardens‬. This is a major transport interchange with trams and buses doing curcuits! I've chosen a vantage point on the edge of the space (so not much view of the so-called gardens!) but you get a sense of the 'messiness' of it all! so much activity and it is this that I have tried to capture in this sketch. This space is very controversial and there have been calls for better gardens (can you spot the so-called 'Berlin Wall?!! Whatever is there will have to withstand the huge volume of people that use and pass through and around this space every day. 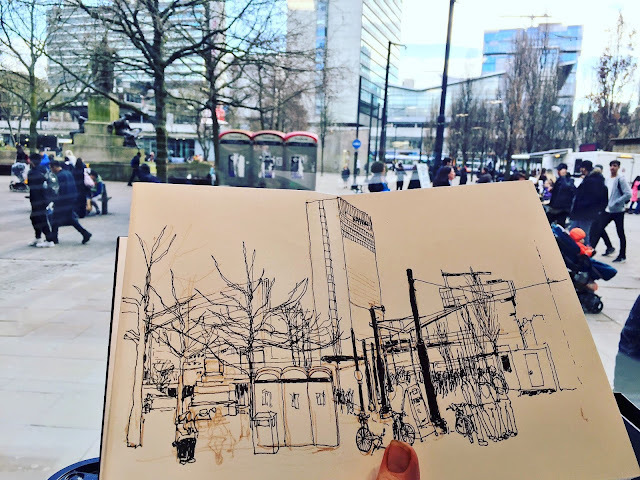 The large tower is called City Tower (not the Beetham, which from this vantage point, pales into insignificance on the right of the sketch! ).